The Geo. M. Martin Company showcased its latest technology during 2016’s SuperCorrExpo. The company’s highly successful LBX Scrubber© stacker has been upgraded to the LBX MEGA-STAK Scrubber stacker and a slightly smaller version, the MBX MEGA-STAK Scrubber stacker made its debut at Geo. Martin’s booth on the show floor. Both stackers are based on patented upper and offset lower roller assemblies along with unique patented scraper assemblies. These and other features enable the reliable and virtually scrap-free delivery of sheets matching or even exceeding the top running speeds of today’s most powerful rotary diecutters. 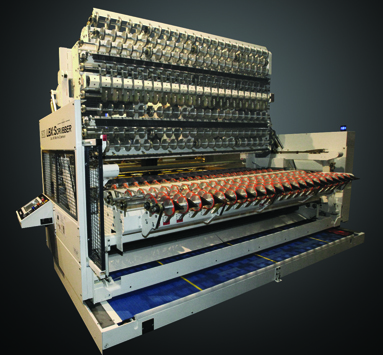 Positive sheet control prevents jams of not only individual bundles but also multi-up and multi-out nicked bundles, utilizing the full-width of the diecutter. This can double and even triple production as measured by thousand square feet per hour. 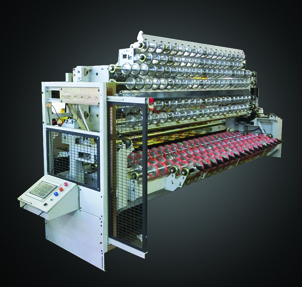 Standard features include Powered Roll-Out/Roll-Back, allowing the operator to move the stacker away from the press while running. The Jam Detection System utilizes three sets of eyes on the stacking deck and hopper assembly, monitoring board flow and immediately interrupt feed should a jam be detected. Motion controls are positioned at each jogger and include a “clear stacking deck” feature. A Pivoting Transfer Deck Assembly with Zero-Crush Rollers allows the collection of individual die-cut boxes and full width nicked sheets, and places them in a precise, and highly consistent, stream or shingle at all press speeds. 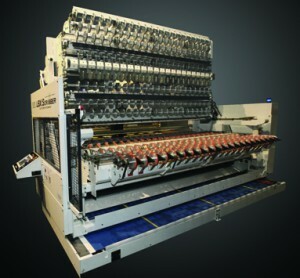 Optional to both the LBX and MBX MEGA-STAKs is a Servo Controlled ZFI-II system that makes stack and bundle changes without a feed interrupt at all rated machine speeds. Many optional add-on features are available enabling the LBX and MBX to be configured to each plant’s individual needs.